Last year, Italian coachbuilder Manifattura Automobili Torino showed up to the Geneva Motor Show with a production-ready, modern interpretation of the Lancia Stratos. Manifattura Automobili Torino turned up again this year with the first two customer examples, serial number 001 and 002. Serial number 001 is going to a customer in Germany while number 002 (also a manual example), is heading to the United States. Only 25 examples of the new Stratos will be built, so we wondered how many of the 23 remaining cars were still available. Speaking with CarBuzz, Riccardo Garella, Sales And Purchasing Manager for Manifattura Automobili Torino told us "there are about 15 still available, [but] as we have many [customers] in discussion, this is a number that can vary quickly." So while there are still 15 examples that have yet to be sold, you may have to act quickly if you want one. Admitadely, potential buyers for the new Stratos won't be easy to find, since the cost of the conversion is a whopping 550,000 euros (around $618,000). That figure doesn't even include the cost of a donor car (a Ferrari F430 or 430 Scuderia), which can cost well over $200,000 on its own. If you have a donor car with the automatic F1 transmission, Manifattura Automobili Torino says it will charge an additional 25,000 euros (around $28,000) to convert the car to a manual. However, even though a manual car is available, Garella says it "is not possible to convert a Scuderia into manual." 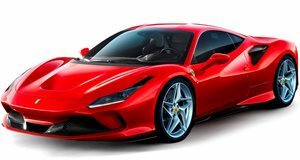 A Texas company called European Auto Group was able to build the world's only 430 Scuderia with a manual, so perhaps the two firms could form some sort of partnership. Even though you won't be able to enjoy the Scuderia's 503-hp 4.3-liter V8 with a manual transmission, we still think this new Stratos is one of the prettiest coach-built cars we've seen in years. If we owned an F430 and had the cash lying around, we wouldn't hesitate to have Manifattura Automobili Torino build us one of these stunning creations.